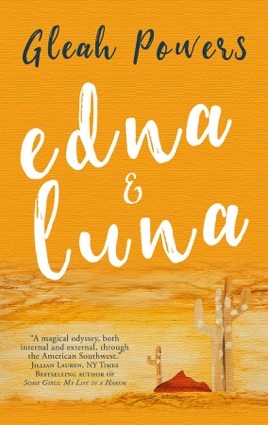 Set in the American Southwest, Edna & Luna is the story of two women: a lonely, recently widowed eccentric, and a much younger new age healer. Facing old age and a hysterectomy, Edna, at 70, reminisces and ruminates about her losses as she makes unsuccessful attempts to start a new life. She tries to befriend her hairdresser, her gardener, and a man she meets at a senior dance who makes sexual advances in the swimming pool. Luna, at 35, ridiculed since childhood for her unorthodox gift of healing, has left a violent husband before moving to a local trailer park. Despite Edna’s initial suspicions that Luna is both out of her mind and after her money, their relationship becomes an odyssey filled with unpredictable depths and discoveries for both women.